At the Law Office of Jacob Loyal Benguerel, our attorneys have years of experience in dealing with legal matters from criminal charges to divorce and child custody. Our office understands the frustrations that arise when a client feels as if their attorney is not fighting for their interests. Our experience and unique perspective enables us to provide the advocacy our clients deserve while respecting the civility the court demands. Attorney Jacob Benguerel has a Bachelor's Degree in Criminal Justice and has been employed in various capacities with the San Joaquin County Probation Department and the San Joaquin County Sheriff's Department. This experience enables him to view the process, fact patterns, and possible legal defenses from a perspective that many attorneys never enjoy. Our goal is always to provide high-quality service tailored to your needs at a reasonable rate. 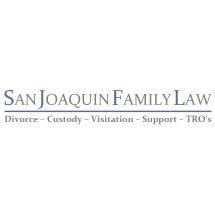 Conveniently located one block from the Stockton family law courthouse, accessing the Law Office of Jacob Loyal Benguerel couldn't be easier. Call the Law Office of Jacob Loyal Benguerel at 209-478-2700 for a free consultation today.